– 1 week of summer. Perhaps I’m exaggerating a bit. Where I come from, we had 6 months of summer, about 2 months of autumn, 2 months of spring, and 2 months of winter. Winter meant hibernating, more or less. I never felt comfortable with winter. See, I don’t tolerate the cold very well. Never have. I am cold, when others aren’t cold yet. I’ve already missed a couple of hours of sleep due to the cold this week: cramps in my feet, or just simply being unable to drift off because my body was too busy trying to keep myself warm. TDH was sleeping soundly, wearing short pajamas. 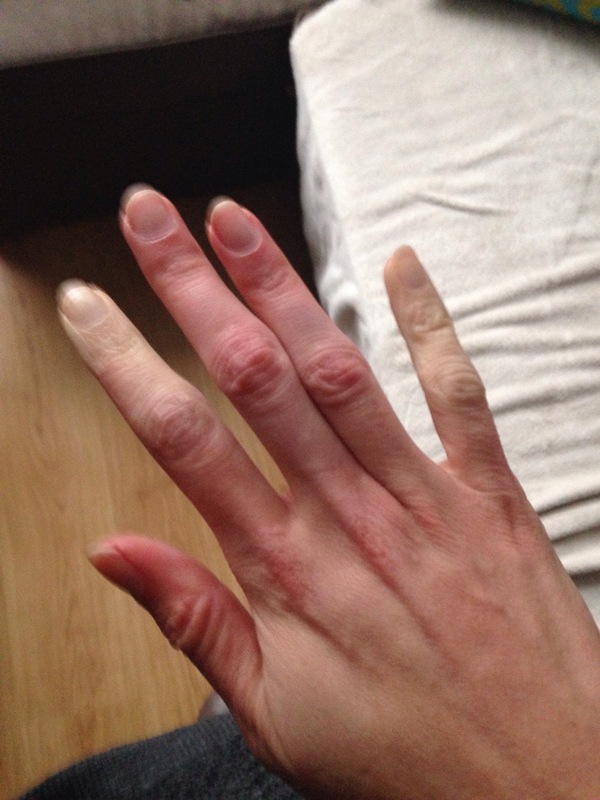 I have Raynaud’s phenomenon, meaning a tiny bit of cold cuts off the circulation from my fingers. At 15 degrees C it’s uncomfortable but still funny. I start wearing gloves when others haven’t even dusted off their winter coats yet. When the thermometer hits below freezing point, I can’t use my bike any more because wearing leather gloves underneath double layered mittens don’t protect me from the excruciating pain associated with Raynaud’s. Numb, then it starts hurting when my bones go cold. And if you think that’s not bad… when it starts warming up it feels like the very bones of my hands and feet are on fire. It’s so painful, it makes me cry.. and I’m definitely not a sissy when it comes to pain. So at this moment, I am looking forward to a few months in which I will be rather tense, in which I will be trying to keep myself warm. A few months, in which I’ll have less energy… not because I’m much affected by the shorter days (at the moment, I’m rather happy with sunset at 5PM because it makes going to bed on time just so much easier! )… but because I am perpetually cold. Constantly heating the house isn’t really an option either, it’s a cold house and it’s pretty expensive. Being cold makes it a bit harder to be cheerful and to enjoy things. It also scares me a bit, I’ve been mildly hypothermic twice and it’s pretty scary. Usually I can begin to feel a bit more relaxed towards April or May, when the temperature raises to 20 degrees Celcius on some days. I miss the sun. There’s not enough of it here for my body to make adequate amounts of vitamin D.
I know I said at the moment I’m rather pleased about the 5PM sunsets. There are a few weeks every year in which I don’t have to battle the day in order to get some rest and enough sleep, I’m still in it. A few weeks after changing back to winter time, and the few weeks (less than a month every time) before Daylight Savings. I still really don’t see the point of Daylight savings. The rest of the year is a struggle for me, almost like being perpetually jet lagged. I still don’t know how I am supposed to be able to fall asleep at 10PM in summer when sunset is at 10:30PM. The climate is just very uncomfortable for me. I don’t mean to whine, it just is. And to be honest, I don’t really enjoy typical wintery stuff either. I miss sunny Christmases by the poolside. I don’t like wearing layers and layers, I feel most comfortable with my long legs in shorts or a skirt and my feet bare. (I’d love to be a barefoot bride, even!) Hot chocolate can be very nice, but doesn’t beat ice cream on a hot day. 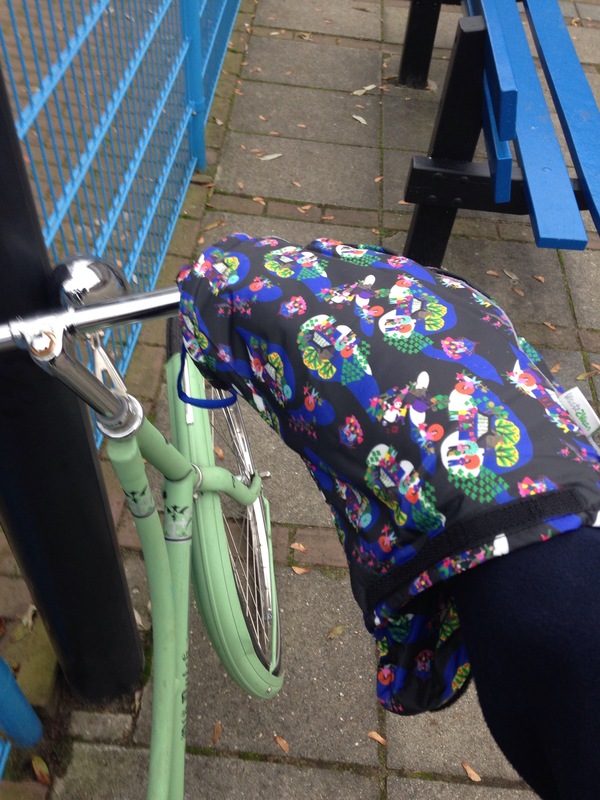 Winter = inside or suffering cold… I prefer to be outside and comfortable. I am not made to be here. I’m built to tolerate heat, and to have the sun tell me when to get active and when to get some rest and sleep. Because that’s also true: when people around me complain about heat, about not being able to function in the heat… I’m wondering where that heat is they’re talking about because I’m quite comfortable, thanks.